I grew up in northern Ohio and Indiana, with side trips in my early years to Wisconsin, Alabama, Arkansas, Oklahoma, and California due to my fathers' military service, graduated with a B.S. in geology from Purdue University in 1962. One problem with a geology degree from Purdue in those days was they thought oil came in cans and you bought it at the gas station. The geology department was a branch of civil engineering in those days. Most geologists with only a B.S. degree in those years were working for Sears and Roebuck, so I joined the Air Force, went to Officer Training School at Lackland AFB, commissioned reserve 2nd lieutenant, served 4 1/2 years at Chanute AFB, Illinois, Grand Forks AFB, North Dakota, Dong Ba Tin Army Airfield and Cam Ranh Bay Airbase, Vietnam. After the Air Force, I took a job processing seismic data for Western Geophysical in Houston, Texas. Made a career out of seismic data processing, working for various seismic contractors, and as a consultant to oil companies doing on-site quality control of their data acquisition. Had only a passing interest in mineral collecting during this time, which is very unfortunate, as I worked in some very interesting places for a mineral collector. 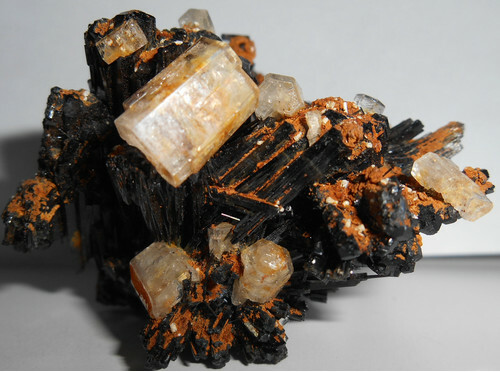 I lived in the Denver, Colorado area for 25 years, lived in Ecuador for almost two years, traveled overseas to numerous countries, most notable to mineral collectors were Peru, Kazakhstan, Myanmar, Australia, the United Kingdom, Mexico, and Norway. I have only a desert rose and a ventifact brought back from Algeria and a chunk of petrified wood from an excavation in downtown Denver to show for all the travels. 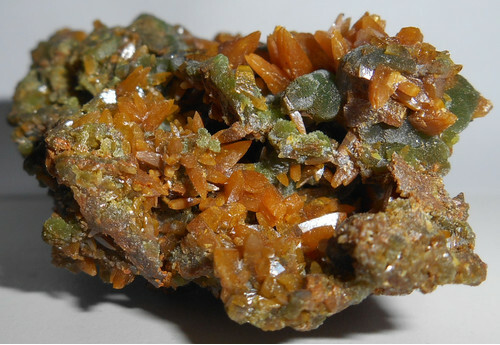 Since retiring in 2006, I have begun actively collecting minerals, and have joined the Tucson Gem and Mineral Society, and volunteer at the annual show. 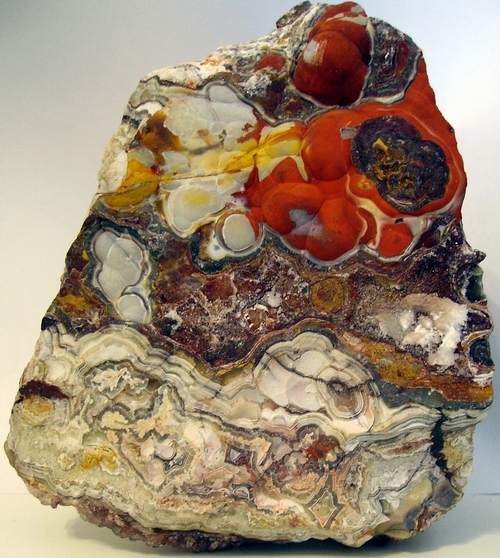 Mindat and the Mineral Atlas have been invaluable on-line resources. 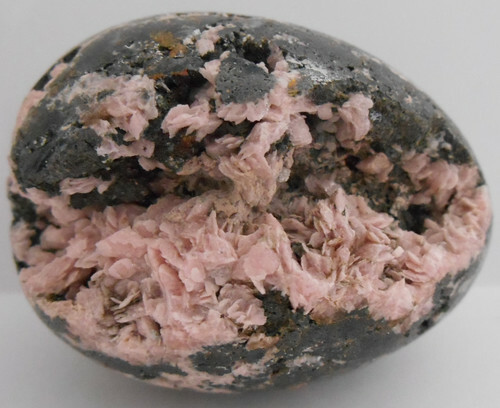 I have a strong preference for minerals I have collected myself, but have bought some specimens that intrigued me at the time. Due to recent health setbacks, my purchasing and trading has far outpaced my collecting. My favorite minerals are the copper and lead minerals and petrified wood, and anything that fluoresces, so I am in a prime location for these. 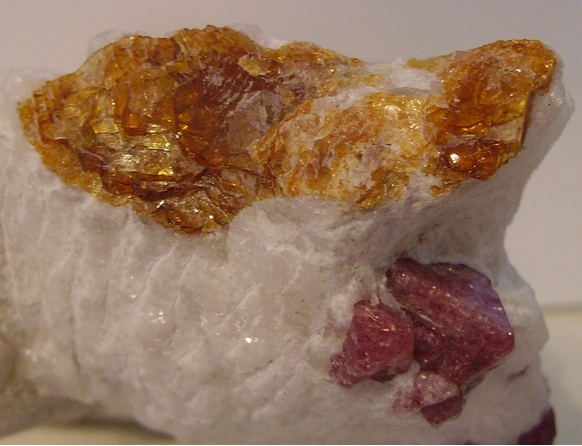 This page lists Dennis' favourite minerals, localities and photos. All lists in alphabetical order.